Research is the foundation of many of our graduate programs in the College of Arts and Sciences, and there are numerous ways to be involved. Our faculty members look forward to mentoring students as they enter the field and our Office of the Vice President for Research is there to support faculty and students throughout every step of the research process. The University of South Carolina offers numerous resources to students and faculty in their pursuit of meaningful research projects. With access to state of the art facilities as well as experienced researchers who are ready to mentor, students will find that anything is possible here. From securing funding to presenting your findings, you'll be supported because USC is committed to innovation and excellence in research. Our students and faculty are accomplishing great things, and we're proud of the work they produce. If you'd like to learn more about what opportunities are available in your department or program, visit their websites to explore your options. Here are some of the projects our students and faculty are working on now. Doctoral student Kelly Goldberg spent seven months in the Republic of Guinea working with the national museum to curate a public exhibit of artifacts her team excavated from historic slave trade sites. Graduate student Erin Holmes finished a dissertation examining the impact of slavery on inhabitants of the 17th century South with help from the Bilinski Education Foundation. Blister, bleed or puke—those were the treatment options doctors in Charleston gave to yellow fever patients in the 1860s. It’s little wonder hundreds of people died during the epidemics that plagued South Carolina’s Lowcountry in the mid-19th century. Researching the outbreaks, University of South Carolina biological anthropology doctoral student Liz Wakefield found an interesting aspect; the mortality rate for blacks was lower—in fact, much lower -- than for whites. 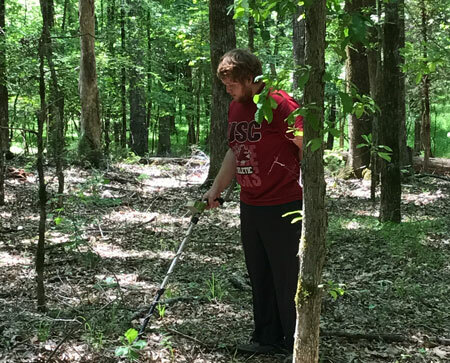 Archaeology professor Steven D. Smith led a team of students to interesting finds this summer at a Revolutionary War site. The group thinks it found the edge of the palisade wall of a trading post established in the 1750s. 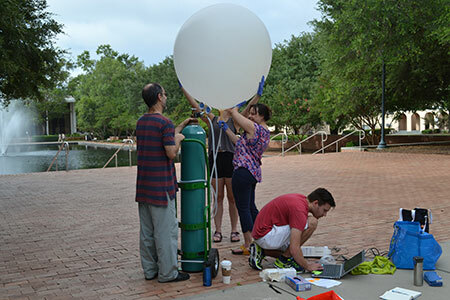 Geography professor April Hiscox and her team launched weather balloons during the solar eclipse to study what effects it had on the near-surface atmosphere. Susannah won the Taber Outstanding Ph.D. Research award in 2017 for her work in geosciences. Prakash Nagarkatti was named USC's Vice President for Research in October 2011. Currently, he oversees a $243 million research enterprise across all USC campuses.